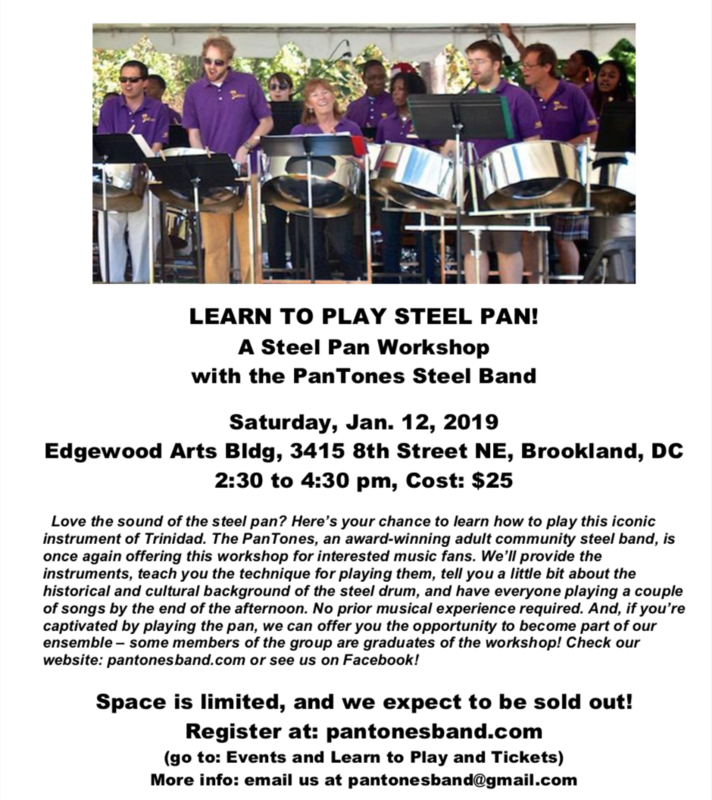 PoPville » Learn to Play Steel Pan with the PanTones Steel Band! Learn to Play Steel Pan with the PanTones Steel Band! Love the sound of the steel pan? Here’s your chance to learn how to play this iconic instrument of Trinidad. 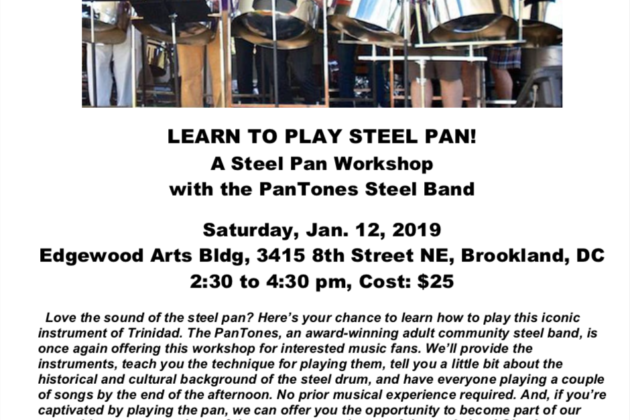 The PanTones, an award-winning adult community steel band, is offering this workshop for beginners. We’ll provide the instruments, teach you the technique for playing them, tell you a little bit about the historical and cultural background of the steel drum, and have everyone playing a couple of songs by the end of the afternoon. No prior musical experience required. This workshop is back by popular demand and is almost sold out! It makes a great holiday gift. Feel free to email any questions or comments to [email protected] Learn more about the band at PanTonesBand.com and check out video footage from one of our workshops at youtu.be/ZPZik42oQwA.